Adjeroud, M., Kayal, M., Iborra-Cantonnet, C., Vercelloni, J., Bosserelle, P., Liao, V., Chancerelle, Y., Claudet, J., Penin, L., 2018. Recovery of coral assemblages despite acute and recurrent disturbances on a South Central Pacific reef. Scientific Reports, 8 : 9680. IF 4.847. Adjeroud, M., Kayal, M., Peignon, C., Juncker, M., Mills, S.C., Beldade, R., Dumas, P., 2018. Ephemeral and localized outbreaks of the coral predator Acanthaster cf. solaris in the southwestern lagoon of New Caledonia. Zoological Studies, 57 : 4 doi : 10.6620/ZS.2018 :57-04. IF 1.008. Alda, P., Lounnas, M., Vázquez, A.A., Ayaqui, R., Calvopiña, M., Celi-Erazo, M., Dillon, R.T., Jarne, P., Loker, E.S., Muñiz-Pareja, F.C., Muzio-Aroca, J., Orlando Nárvaez, A.O., Noya, O., Martini Robles, L., Rodríguez-Hidalgo, R., Uribe, N., David, P., Pointier, J.P., Hurtrez-Boussès, S., 2018. A new multiplex PCR assay to distinguish among three cryptic Galba species, intermediate hosts of Fasciola hepatica. Veterinary Parasitology, 251 : 101-105. IF 2.356. Andreu, V., Levert, A., Amiot, A., Cousin, A., Aveline, N., Bertrand, C., 2018. Chemical composition and antifungal activity of plant extracts traditionally used in organic and biodynamic farming. Environmental Science and Pollution Research, doi org/10.1007/s11356-018-1320-z. IF 2.741. Bambridge, T., Le Meur, P.Y., 2018. 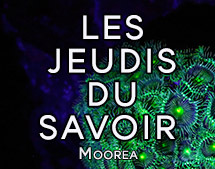 Savoirs locaux et biodiversité aux îles Marquises Don, pouvoir et perte. Revue d’Anthropologie des Connaissances, 1 : 29-55. Barneche, D.R., Rezende, E.L., Parravicini, V., Maire, E., Edgar, G.J., Stuart-Smith, R.D., Arias-González, J.E., Ferreira, C.E.L., Friedlander, A.M., Green, A.L., Luiz, O.J., Rodríguez-Zaragoza,, F.A., Vigliola, L., Kulbicki, M., Floeter, S.R., 2018.body size, reef area and temperature predict global reef-fish species richness across spatial scales. Global Ecology and Biogeography, doi : 10.1111/geb.12851. IF 5.958. Ben Hadj Salah, K., Das, S., Ruiz, N., Andreu, V., Martinez, J., Wenger, E., Amblard, M., Didierjean, C. , Legrand, B., Inguimbert, N., 2018. How are 1,2,3-triazoles accommodated in helical secondary structures ? Organic and Biomolecular Chemistry, 16 : 3576-3583. IF 3.564. Berthe, C., Waqalevu, V.P., Latry, L., Besson, M., Lerouvreur, F., Siu, G., Lecellier, G., Rummer, J.L., Bertucci, F., Iglésias, S., Lecchini, D., 2018. Distribution patterns of ocellated eagle rays, Aetobatus ocellatus, along two sites in Moorea Island, French Polynesia. Cybium, 42(4) : 313-320. IF 0.346. Bertrand, C., Prigent-Combaret, C., Gonzalez-Coloma, A., 2018. Chemistry, activity and impact of plant biocontrol products. Environmental Science and Pollution Research, https://doi.org/10.1007/s11356-018-3209-2 IF 2.800. Bertucci, F., Jacob, H., Mignucci, A., Gache, C., Roux, N., Besson, M., Berthe, C., Metian, M., Lecchini, D., 2018. Decreased retention of olfactory predator recognition in juvenile surgeon fish exposed to pesticide. Chemosphere, 208 : 469-475. IF 4.208. Besson, M., Salis, P., Laudet, V., Lecchini, D., 2018. 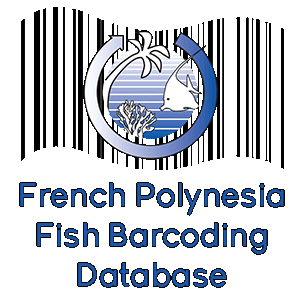 Complete and rapid reversal of the body color pattern in juveniles of the convict surgeonfish Acanthurus triostegus at Moorea Island (French Polynesia). Coral Reefs, 37 : 31-35. IF 2.93. Blay, C., Planes, S., Ky, C.L., 2018. Optimal age of the donor graft tissue in relation to cultured pearl phenotypes in the mollusc, Pinctada margaritifera. Plos One, 13(6) z0198505. IF 2.768. Blay, C., Planes, S., Ky, C.L., 2018. Cultured pearl surface quality profiling by the shell matrix protein gene expression in the biomineralized pearl sac tissue of Pinctada margaritifera. Marine Biotechnology, https://doi.org/10.1007/s10126-018-9811-y. IF 2.328. Blay, C., Planes, S., Ky, C.L., 2018. Crossing phenotyoe heritability and candidate gene expression in grafted black-lippoed pearl osyter Pinctada margaritifera, an animal chimera. Journal of Heredity, 109(5) : 510-519. IF 2.574. Boissin, E., Hoareau, T.B., Postaire, B., Gravier-Bonnet, N., Bourmaud, C.A.F., 2018. Cryptic diversity, low connectivity and suspected human-mediated dispersal among 17 widespread Indo-Pacific hydroid species of the south-western Indian Ocean. Journal of Biogeography, doi : 10.1111/jbi.13388. IF 4.154. Boratynski, Z., Koskela, E., Mappes, T., Mills, S.C., Mokkonen, M., 2018. Maintenance costs of male dominance and sexually antagonistic selectioin in the wild. Functional Ecology, doi : 10.1111/1365-2435.13216. IF 5.491. Bouyoucos, I.A., Weideli, O.C., Planes, S., Simpfendorfer, C.A., Rummer,J.L., 2018. Dead tired : evaluating the physiological status and survival of neonatal reef sharks under stress. Conservation Physiology, 6(1) : coy053. IF 2.323. Brena, P.F., Mourier, J., Planes, S., Clua, E.E., 2018. Concede or clash ? Solitary sharks competing for food assess rivals to decide. Proceedings of the Royal Society B 285 : 20180006. IF 4.940. Brocke, A.J., Piltz, B., Herz, N., Abed, R.M.M., Palinska ; K.A., John, U., Beer, D. de, Nugues, M.M., 2018. Nitrogen fixation and diversity of benthic cynaobacterial mats on coral reefs in Curaçao. Coral Reefs, https://doi.org/10.1007/s00338-018-1713-y. IF 2.906. Bulleri, F., Thiault, L., Mills, S.C., Nugues, M.M., Eckert, E.M., Corno, G., Claudet, J., 2018. Erect macroalgae influence epilithic bacterial assemblages and reduce coral recruitment. Marine Ecology Progress Series, 597 : 65-77. IF 2.292. Bussotti, S., Di Franco, A., Bianchi, C.N., Chevaldonné, P., Egea, L., Fanelli, E., Lejeusne, C., Musco, L., Navarro-Barranco, C., Pey, A., Planes, S., Vieux-Ingrassia, J.V., Guidsetti, P., 2018. Fish mitigate trophic depletion in marine cave ecosystems. Scientific Reports, 8 :9193. IF 4.122. Calandra, M., 2018. Une horticulture maritime ? Pratiques et perceptions de la mer à Tongoa (Vanuatu). Revue d’Ethnologie, 13 : 1-22. Canavesio, R., Pons-Branchu, E., Chancerelle, Y., 2018. Limitations to U/Th dating of reef-platform carbonate boulders produced by high-energy marine inundations in the Tuamotu Archipelago (French Polynesia). Coral Reefs, https://doi.org/10.1007/s00338-018-1732.8. IF 3.095. Cattano, C., Claudet, J., Domenici, P., Milazzo, M., 2018. Living in a high CO2 world : a global meta-analysis shows multiple traits-mediated fish responses to ocean acidification. Ecological Monographs. 88(3) : 320-335. IF 8.759. Claudet, J., 2018 . Reply Claudet’s final word. ICES Journal of Marine Science, 75 : 1177. IF 2.76. Clua, E.G., 2018a. Managing bite risk for divers in the context of shark feeding ecotourism : a case study from French Polynesia (Eastern Pacific). Tourism Management, 68 : 275-283. IF 4.690. Clua, E.G., 2018b. Le poisson ange endémique de la Passion-Clipperton : élégance et grâce, 84-85. In : Folliot, P., Jost, C., 2018. La Passion – Clipperton l’île sacrifiée. Ed. La Bibliotèca, 196p. Clua, E.G., 2018c. 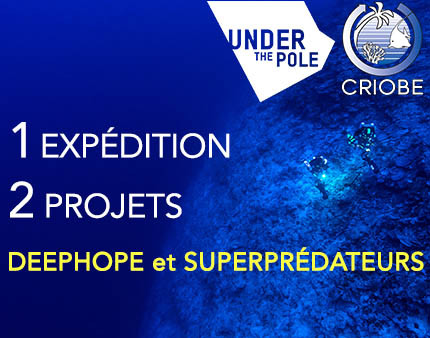 Clipperton : paradis perdu des requins, 126-127. In : Folliot, P., Jost, C., 2018. La Passion – Clipperton l’île sacrifiée. Ed. La Bibliotèca, 196p. Clua, E.G., Linnell, J.D.C., 2018. Individual shark profiling : an innovative and environmentally responsible approach for selectively managing human fatalities. Conservation Letters, doi : 10.1111/conl.12612. IF 7.279. Clua, E.G., Mourier, J., Planes, S., 2018. Boosting cultural ownership to support compliance in the largest shark sanctuary in the Pacific. Online Comment to Cramp. J.E., Simpfendorfer, C.A., Pressey, R.L., Beware silent waning of shark protection, Letters, Science, 360, 6390. IF ? Clua, E.G., Reid, D., 2018. Contribution of forensic analysis to shark profiling following fatal attacks on humans. In : Post mortem examination and autopsy-current issues-from death to laboratory analysis. Ed. Kamil Hakan Dogan : 57-75. Colleye, O., Kéver, L., Lepoint, G., Lecchini, D., Parmentier, E., 2018. Symbiotic relationship between the carapid fish Onuxodon fowleri (Ophidiiformes : Carapidae) and the pearl oyster Pinctada margaritifera (Mollusca : Bivalvia : Pteriidae). Scientia Marina, 82 : 35-41. IF 1.009. Collin, A., Duvat, V., Pillet, V., Salvat, B., James, D., 2018. Understanding the interactions betxeen shoreline changes and reef outer slope morphometry on Takapoto Atoll (French Polynesia). Journal of Coastal Research, 85 : 496-500. IF 0.915. Collin, A., Hench, J.L., Pastol, Y., Planes, S., Thiault, L., Schmitt, R.J., Holbrook, S.J., Davies, N., Troyer, M., 2018. High resolution topobathymetry using a pleiades-1 triplet : Moorea Island in 3D. Remote Sensing of Environment, 208 : 109-119. IF 6.265. Collin, A., Ramambason, C., Pastol, Y., Casella, E., Rovere, A., Thiault, L., Espiau, B., Siu, G., Lerouvreur, F., Nakamura, N., Hench, J.L., Schmitt, R.J., Holbrook, S.J., Troyer, M., Davies, N., 2018. Very high resolution mapping of coral reef state using airborne bathymetric LiDAR surface-intensity and drone imagery. International Journal of Remote Sensing, https://doi.org/10.1080/01431161.2018.1500072. IF 1.782. Conand, C., Ribes-Beaudemoulin, S., Trentin, F., Mulochau, T., Boissin, E., 2018. Marine biodiversity of la Reunion Island echinoderms. WIO Journal of Marine Science, 17(1) : 111-124. IF ? Das, S., Ben Haj Salah, K ., Djibo, M., Inguimbert, N., 2018. Peptaibols as a model for the insertions of chemical modifications. Archives of Biochemistry and Biophysics, 658 : 16-30. IF 3.118. Delrieu-Trottin, E., Liggins, L., Trnski, T., Williams, J.T., Neglia, V., Rapu-Edmunds, C., Planes, S., Saenz-Agudelo, P., 2018. Evidence of cryptic species in the blenniid Cirripectes albopicalis species complex, with zoogeographic implications for the South Pacific. Zookeys 810 : 127-138. IF 1.079. Delrieu-Trottin, E., Neglia, V., Verducci, M., Planes, S., 2018. Origin, genetic diversity, and population history of a marine population (Chamidae : Chanos chanos) in an enclosed lagoon in French Polynesia. Pacific Science 72 (2) : 223-231. IF 0.822. Delerue-Ricard, S., Stynen, H., Barbut, L., Morat, F., Mahé, K., Hablützel, P.I., Hostens, K., Volckaert, F.A.M., 2018. Size-effect, asymetry, and small-scale spatial variation in otolith shaope of juvenilke sole in the Southern North Sea. Hydrobiologia, https://doi.org/10.1007-018-3736-3, IF 2.165. Delser, P.M., Corrigan, S., Duckett, D., Suwalski, A., Veuille, M., Planes, S., Naylor, G.J.P., Mona, S., 2018. Demographic inferences after a range expansion can be biased : the test case of the blacktip reef shark (Carcharhinus melanopterus). Heredity, htpps://doi.org/10.1038/s41437-018-0164-0. IF 3.872. DiFranco, A., Plass-Johnson, J.G., DiLorenzo, M., Meola, B., Claudet, J., Gaines, S.D., García-Charton, J.A., Giakoumi, S., Grorud-Colvert, K., Hackradt, C.W., Micheli, F., Guidetti, P., 2018. Linking home ranges to protected area size : the case study of the Mediterranean Sea. Biological Conservation, 221 : 175-181. IF 4.022. Dubois, M., Gascuel, D., Coll, M., Claudet, J., 2018. Recovery debts can be revealed by ecosystem network-based approaches. Ecoystems, https://doi.org/10.1007/s10021-018-0294-5. IF 4.030. Dumas, P., Mills, S.C., Moutardier, G., Gereva, S., Beldade, R., Ham, J., Kaku, R., Adjeroud, M., 2018. The chaotic history of using vinegar injections to control Acanthaster spp. Populations. A comment to Boström-Einarsson L., Bonin M.C., Moon S., and Firth S. (2018). Environmental impact monitoring of household vinegar-injections to cull crown-of-thorns starfish, Acanthaster spp. Ocean & Coastal Management 155 : 83-89. Ocean & Coastal Management 165 : 434-435. IF 2.276. El-Demerdash, A., Moriou, C., Toullec, J., Besson, M., Soulet, S., Schmitt, N., Petek, S., Lecchini, D., Debitus, C., Al-Mourabit, A., 2018. Bioactive bromotyrosine-derived alkaloids from the Polynesian sponge Subera ianthelliformis. Marine Drugs, 16 : 146. IF 3.503. Fabre, P., Bambridge, T., 2017. Evolution de la pratique de pêche aux ature (Selar crumenophthalmus) à Opunohu-Moorea (Polynésie française). Journal de la Société des Océanistes, 144-145 : 315-328. Ford, A.K., Bejarano, S., Nugues, M.M., Visser, P.M., Albert, S., Ferse, S.C.A., 2018. Reef under siege – the rise, putative drivers, and consequences of benthic cyanobacterial mats. Frontiers in Marine Science, Doi : 10.3389/fmars2018.00018. IF ? Ford, A.K., Eich, A., McAndrews, R.S., Mangubhai, S., Nugues, M.M., Bejarano, S., Moore, B., R., Wild, Ferse, C.A., 2018. Evaluation of coral reef management effectiveness using conventional versus resilience-based metrics. Ecological Indicators, 85 : 308-317. IF 3.898. Fraschetti, S., Pipitone, C., Mazaris, A.D., Rilov, G., Badalamenti, F., Bevilacqua, S., Claudet, J., Caric, H., Dahl, K., D’Anna, G., Daunys, D., Frost, M., Gissi, E., Göke, C., Goriup, P., Guarnieri, G., Holcer, D., Lazar, B., Mackelworth, P., Manzo, S., Martin, G., Palialexis, A., Panayotova, M., Petza, D., Rumes, B., Todorova, V., Katsanevakis, S., 2018. Light shade in marine conservation across European and continuous seas. Frontiers in Marine Science, 5 (420) : 1-27. IF ? Fricke, A., Titlyanova, T.V., Teichberg, M., Nugues, M.M., Bischof, K., 2018. The chorophytes of Curaçao (Caribbean) : a revised checklist for the south-west coast. Botanica Marina, https://doi.org/10.1515/bot-2017-0072. IF 1.239. Gaillard, M., Das, S., Djibo, M., Raviglione, D., Roumestand, C., Legrand, B., Inguimbert, N., 2018. Towards the total synthesis of Trichormamide A, a cyclic undecapeptide. Tetrahedron Letters, 59 : 3713-3718. IF 2.125. Giakoumi, S., Hermoso, V., Carvalho, S.B., Markantonatou, V., Dagys, M., Iwamura, T., Probst, W.N., Smith, R.J., Yates, K.L., Almpanidou, V., Novak, T., Ben-moshe, N., Katsanevakis, S., Claudet, J., Coll, M., Deidun, A., Essl, F., García-Charton, J.A., Jimenez, C., Kark, S., Mandic, M., Mazaris, A.D., Rabitsch, W., Stelzenmüller, V., Tricarico, E., Vogiatzakis, I.N., 2018. Conserving European biodiversity across realms. Conservation Letters, doi : 10.1111/conl.12586. IF 7.020. Goetze, J.S., Claudet, J., Januchowski-Hartley, F., Langlois, T.J., Wilson, S.K., White, C., Weeks, R., 2018. Demonstrating multiple benefits from periodically harvested fisheries closures. Journal of Applied Ecology, 55 : 1102-1113. IF 5.301. Gordon, T.A.C., Harding, H.R., Clevers, F.K., Davidson, I.K., Davison, W., Montgomery, D.W., Weatherhead, R.C., Windsor, F.M., Armstrong ,J.D., Bardonnet, A., Bergman, E., Britton, J.R., Côté, I.M., D’agostino, D., Greenberg, L.A., Harborne, A.R., Kahilainen, K.K., Metcalfe, N.B., Mills, S.C., Milner, N.J., Mittermayer, F.H., Montorio, L., Nedelec, S.L., Prokkola, J.M., Rutterford, L.A., Salvanes, A.G.V., Simpson, S.D., Vainikka, A., Pinnegar, J.K., Santos, E.M., 2018. Fishes in a changing world : learning from the past to promote sustainability of fish populations. Journal of Fish Biology, 92 : 804-827. IF 1.519. Harris, D.L., Rovere, A., Casella, E., Power, H., Canavesio, R., Collin, A., Pomeroy, A., Webster, J.M., Parravicini, V., 2018. Coral reef structural complexity provides important coastal protection from waves under rising sea levels. Science Advances, 4 : eaao4350. IF ? He, S., Planes, S., Sinclair-Taylor, T.H., Berumen, M.L., 2018.Diagnostic nuclear markers forn hybrid nemos in Kimbe Bay, PNG-Amphiprion chrysopterus x Amphiprion sandaracinos hybrids. Marine Biodiversity, https://doi.org/10.1007/s12526-018-0907-4. IF ? Hédouin, L., Metian, M., Teyssié , J.L., Fichez, R., Warnau, M., 2017. High contribution of the particulate uptake pathway to metal bioaccumulation in the tropical marine clam Gafrarium pectinatum. Environmental Science and Pollution Research, doi : 10.1007/s11356-017-8562-z. IF 2.741. Helme, H., Bertucci, F., Madi Moussa, R., Wolf, Y., Sasal, P., 2018. Temporal dynamics of the recruitment of glass eel in two valleys of French Polynesia (Tahiti and Moorea Islands). Cybium, 42(4) : 341-348. IF 0.346. Hempson, T.N., Graham, N.A.J., MacNeil, M.A., Hoey, A.S., Almany, G.R., 2018. Mesopredator trophodynamics on thermally stressed coral reefs. Coral Reefs, 37 : 135-144. IF 2.93. Hempson, T.N., Graham, N.A.J., MacNeil, M.A., Williamson, D.H., Jones, G.P., Almany, G.R., 2017. Coral reef mesopredators switch prey, shortening food chains, in response to habitat degradation. Ecology and Evolution, 7 : 2626-2635. IF 2.440. Hume, B.C.C., Ziegler, M., Poulain, J., Pochon, X., Romac, S., Boissin, E., Vargas, C. de, Planes, S., Winckler, P., Voolstra, C.R., 2018. An improved primer set and amplification protocol with increased specificity ans sensitivity targeting the Symbiodinium ITS2 region, PeerJ, doi : 10.7717/peerj.4816. IF 2.118. Jublier, N., Clua, E.E., 2018. Size assessment of the gray reef shark Carcharhinus amblyrhynchos inferred from teeth marks on human wounds. Journal of Forensic Sciences, doi : 10.1111/1556-4029.13738. IF 1.127. Kaleli, A., Krzywda, M., Witkowski, A., Riaux-Gobin, C., Solak, C.N., Zglobicka, I., Plocinski, T., Grzonka, J., Kurzydlowski, K.J., Car, A., Desrosiers, C., Kaska, Y., McCartney, K., 2018. A new sediment dwelling and epizoic species of Olifantiella (Bacillariophyceae) ; with an account on the genus ultrastructure based on focused ion beam nanocuts. Fottea 18(2) : 212-226. IF : 1.350. Le Cozannet, G., Duvat, V., Etienne, S., Salvat, B., Etienne, S ., Terorotua, H., Garcin, M., Lecacheux, S., Montaggioni, L., 2018. Modelling the response of atoll reef islands to multi-millennial sea-level rise from the last glacial maximum to the coming 10kyr : the case of the Mururoa atoll (Tuamotu, French Polynesia). Journal of Coastal Research, 85 : 16-20. IF 0.915. Le Meur, P.Y., Bambridge, T., Dégremont, M., Rodary, E., 2018. Les espaces marins du Pacifique entre logiques de commun et d’accaparement. 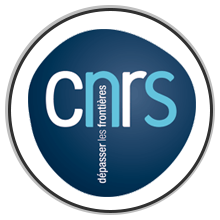 Revue Internationale des Etudes du Développement, 234 : 9-30. Lecchini, D., Bertucci, F., Gache, C., Khalife, A., Besson, M., Roux, N., Berthe, C., Singh, S., Parmentier, E., Nugues, M.M., Brooker, R.M., Dixon, D.L., Hédouin, L., 2018. Boat noise prevents soundscape-based habitat selection by coral planulae. Scientific Reports, 8 : 9283. IF 4.847. Levert, A., Alvariño, R., Bornancin, L., Abou Mansour, E., Burja, A.M., Genevière, A.M., Bonnard, I., Alonso, E., Botana, L., Banaigs, B., 2018. Structures and activities of tiahuramides A-C, Cyclic depsipeptides from a tahitian collection of the marine cyanobacteirum Lyngbya majuscula. Journal of Natural Products, 81 : 1301-1310. IF 3.281. 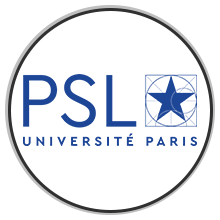 Liu, H., Stephens, T.G., González-Pech, S.A., Beltran, V.H., Lapeyre, B., Bongaertz, P., Cooke, I., Aranda, M., Bourne, D.G., Forêt, D.J., Miller, D.J., Oppen, M.J.H. van, Voolstra, C.R., Ragan, M.A., Chan, C.X., 2018. Symbiodinium genomes reveal adaptive evolution of functions related to coral-dinoflagellate symbiosis. Communications Biology, doi : 10.1038/s42003-018-0098-3. IF ? Lounnas, M., Correa, A.C., Alda, P., David, P., Dubois, M.P., Calvopiña, M., Caron, Y., Celi-Erazo, M., Dung, B.T., Jarne, P., Loker, E.S., Noya, O., Rodriguez-Hidalgo, R., Toty, C., Uribe, N., Pointier, J.P., Hurtrez-Boussès, S., 2018. Population structure and genetic diversity in the invasive freshwater snail Galba schirazensis (Lymnaeidae). Canadian Journal of Zoology, 96 : 425-435. IF 1.347. Macic, V., Albano, P.G., Almanidou, V., Claudet, J., Corrales, X., Essl, F., Evagelopoulos, A., Giovos, I., Jumenez, C., Kark, S., Markovic, O., Mazaris, A.D., Olafsdottir, G.A., Panayotova, M., Petovic, S., Rabitsch, W., Ramdani, M., Rilov, G., Tricarico, E., Fernandez, T.V., Sini, M., Trygonis, V., Katsane vakis, S., 2018. Biological invasions in conservation planning : a global systematic review. Frontiers in Marine Science. Doi : 10.3389/mars.2018.00178. IF 0.72. Madi Moussa, R., 2018. 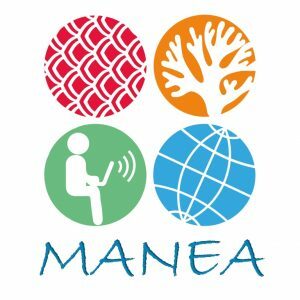 Are mangroves important for reef fish on Mayotte Island (Indian Ocean) ?. Cybium, 42(4) : 327-340. IF 0.346. Martin, S.B., Sasal, P., Cutmore, S.C., Ward, S., Aeby, G.S., Cribb, T.H., 2018. Intermediate host switches drive diversification among the largest trematode family : evidence from the Polypipapitrematinae n. subf. (Opecoelidae), parasites transmitted to butterflyfishes via predation of coral polyps. International Journal for Parasitology, 48 : 1107-1126. IF 3.078. Mills, S.C., O’Donnell, J.L., Bernardi, G., Beldade, R., 2018. Natural endocrine profiles of the group-living skunk anemonefish Amphiprion akallopisos in relation to their size-based dominance hierarchy. Journal of Fish Biology, 92 : 773-789. IF 1.519. Montaggioni, L.F., Salvat, B., Aubanel, A., Eisenhauer, A., Martin-Garin, B., 2018. The mode and timing of windward reef-island accretion in relation with holocene sea-level change : a case study from Takapoto atoll. Geomorphology, 318 : 320-335. IF 2.958. Morat, F., Gibert, P., Reynaud, N., Testi, B., Favriou, P., Raymond, V., Carrel, G., Maire, A., 2018. Spatial distribution, total length frequencies and otolith morphometry as tools to analyse the effects of a flash flood on populations of roach (Rutilus rutilus). Ecology of Freswater Fish, 27 : 421-432. IF 2.054. Mourier, J., Lédée, E., Guttridge, T., Jacoby, D.M.P., 2018. Network analysis and theory in shark ecology – Methods and applications. 337-356. In : Shark Research, Emerging technologies and applications for the field and laboratory. Eds J.C. Carrier, M.R. Heithaus, C.A. Simpfendorfer, CRC Press. Norin, T., Mills, S.C. , Crespel, A., Cortese, D., Killen, S.S., Beldade, R., 2018. Anemone bleaching increases the metabolic demands of symbiont anemonefiush. Proceedings of the Royal Society B, 285 : 20180282. IF 4.847. Parmentier, E., Fine, M.L., Berthe, C., Lecchini, D., 2018. Taxonomic validation of Encheliophis chardewalli with description of calling abilities, Journal of Morphology, 279 : 864-870. IF 1.655. Pascal, N., Brathwaite, A., Brander, L., Seidl, A., Philip, M., Clua, E.G., 2018. Evidence of economic benefits for public investment in MPAs. Ecosystem Services, 30 : 3-13. IF ? Pratte, Z. A., Besson, M., Hollman, R.D., Stewart, F.J., 2018. The gills of reef fish support a distinct microbiome influenced by host-specific factors. Applied and Environmental Microbiology, 84(9) : e00063-18. IF 3.807. Puisay, A., Pilon, R., Goiran, C., Hédouin, L., 2018. Thermal resistances and acclimatation potential during coral larval ontogeny in Acropora pulchra. Marine Environmental Research, 135 : 1-10. IF 3.101. Raick, X., Lecchini, D., Kéver, L., Colleye, O., Bertucci, F., Parmentier, E., 2018. Sound production mechanism in triggerfish (Balistidae) : a synapomorphy. Journal of Experimental Biology, doi : 10.1242/jeb.168948. IF 1.165. Reverter, M., Tapissier-Bontemps, N., Lecchini, D., Banaigs, B., Sasal, P., 2018. Biological and ecological roles of external fish mucus : a review. Fishes, 3 (41) : doi:10.3390/fishes3040041. IF ? Riaux-Gobin, C., 2017. Clathrus archeri : conditions favorables fin juin 2017 en haut Vallespir. Mycologie et Botanique 32 : 3. Riaux-Gobin, C., Witkowski, A., Igersheim, A., 2018. Cocconeis scutellum var. parva (Bacillariophyceae) re-examination and typification. Phytotaxa, 343 : 20-34. IF 1.24. 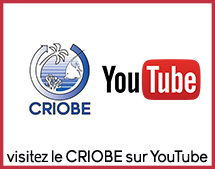 Riaux-Gobin, C., Witkowski, A., Igersheim, A., Lobban, C.S., Al-Handal, A.Y., Compère, P., 2018. Planothidium juandenovense sp. nov. (Bacillariophyta) from Juan de Nova (Scattered Islands, Mozambique Channel) and other tropical environments : a new addition to the Planothidium delicatulum complex. Fottea, 18 (1) : 106-119. IF 1.350. Riaux-Gobin, C., Witkowski, A., Jordan, W., Parravicini, V., Planes, S., 2018. Cocconeis kurakakea, a new diatom species from Nukutavake (Tuamotu Archipelago, South Pacific) : description and comparison with C. diruptoides and C. pseudodiruptoides. Phytotaxa, 349 : 115-129. IF 1.24. Riaux-Gobin, C., Ector, L., Witkowski, A., Igersheim, A., 2018. Achnanthales from historical Grunow collection in Porto Subzanski, Croatia. Botanica Marina, 61 (6) : 573-593. IF 0.989. Rieucau, G., Kiszka, J.J., Castillo, J.C., Mourier, J., Boswell, K.M., Heithaus, M.R., 2018. Using unmanned aerial vehicle (UAV) surveys and image analysis in the study of large surface-associated marine species : a case study on reef sharks Carcharhinus melanopterus shoaling behaviour. Journal of Fish Biology, doi : 10.1111/jfb.13645. IF 1.702. Riley, J.L., Guidou, C., Fryns, C., Mourier, J., Leu, S.T., Noble, D.W.A., Byrne, R.W., Whiting, S.T., 2018. Isolation rearing does not constrain social plasticity in a family-living lizard. Behavioral Ecology, doi : 10.1093/beheco/ary007. IF 3.331. 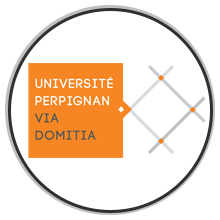 Romdhane, S., Devers-Lamrani, M., Martin-Laurent, F., Ben Jrad, A., Raviglione, D., Salvia, M.V., Besse-Hoggan, P., Dayan, F.E., Bertrand, C., Barthelmebs, L., 2017. Evidence for photolytic and microbial degradation processes of leptospermone, a natural B-triketone herbicide. Environmental Science and Pollution Research, doi : 10.1007/s11356-017-9728-4. IF 2.741. 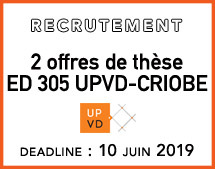 Romdhane, S., Devers-Lamrani, M., Beguet, J., Bertrand, C., Calavayrac, C., Salvia, M.V., Ben Jrad, A., Dayan, F.E., Spor, A., Barthelmebs, L., Martin-Laurent, F., 2018. Assessment of the ecotoxicological impact of natural and synthetic B-triketone herbicides on the diversity and activity of the soil bacterial community using omic approaches. Science and the Total Environment, 651 : 2412-249. IF 4.61. Rzeznik-Orignac, J., Puisay, A., Derelle, E., Peru, E., Le Bris, N., Galand, P.E., 2018. Co-occurring nematodes and bacteria in submarine canyon sediments. PeerJ, 6 : 5396. IF 2.84. Salis, P., Roux, N., Lecchini, D., Laudet, V., 2018. The post-embryonic development of Amphiprion perideraion reveals a decoupling between morphological and pigmentation changes. Cybium, 42(4) : 309-312. IF 0.346. Salis, P., Roux, N., Soulat, O., Lecchini, D., Laudet, V., Frédérich, B., 2018. Ontogenetic and phylogenetic simplification during white stripe evolution in clownfishes. BMC Biology, https://doi.org/10.1186/s12915-018-0559-7. IF 6.779. Salvat, B., 2018. Recherches sur l’atoll de Takapoto, Tuamotu, Polynésie française. Programmes et travaux publiés. Bulletin de la Société des Etudes Océaniennes, 345 : 68-82. Salvat, B., Galzin, R., Planes, S., 2018. Les récifs coralliens : 174-185. 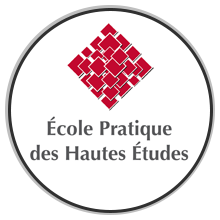 In : Ecole Pratique des Haute Etudes. Invention, Erudition et Innovation de 1968 à nos jours. Somogy Editions d’Art, Paris, 712 p.
Salvat, B., Tröndlé, J., Letourneux, J., 2018a. Pleistocene mollusc assemblage in the slightly raised atoll lagoon of Niau (Tuamotu, French Polynesia). Paläontologische Zeitschrift, doi : 10.1007/s12542-018-0401-0. IF 1.095. Sequeira, A.M.M., Rodríguez, J.P., Eguíluz, V.M., Harcourt, R., Hindell, M., Sims, D.W., Duarte, C.M., Costa, D.P., Fernández-Garcia, J., Ferreira, L.C., Hays, G.C., Heupel, M.R., Meekan, M.G., Aven, A., Bailleul, F., Baylis, A.M.M., Berumen, M.L., Braun, C.D., Burns, J., Caley, M.J., Campbell, R., Carmichael, R.H., Clua, E., Einoder, L.D., Friedlaender, A., Goebel, M.E., Goldsworthy, S.D., Guinet, C., Gunn, J., Hamer, D., Hammerschlag, N., Hammill, M., Hückstädt, L.A., Humphries, ,N.E., Lea, M.A., Lowther, A., Mackay, A., McHuron, E., McKenzie, J., McLeay, L., McMahon, C.R., Mengersen, K., Muelbert, M.M.C., Pagano, A.M., Page, B., Queiroz, N., Robinson, P.W., Shaffer, S.A., Shivji, M., Skomal, G.B., Thorrold, S.R., Villegas-Amtmann, S., Weise, M., Wells, R., Wetherbee, B., Wiebkin, A., Wienecke, B., Thums, M., 2018. Convergence of marine megafauna movements patterns in coastal and open oceans. PNAS, www.pnas.org/cgi/doi/10.1073/pnas.1716137115. IF 9.661. Sousa, I., Gonçalves, J.M.S., Claudet, J., Coelho, R., Gonçalves, E.J., Erzini, K., 2018. Soft-bottom fishes and spatial protection : findings from a temperate marine protected area. PeerJ, 6:e4653. IF 2.84. Stier, A.C., Satllings, C.D., Sambouri, J.F., Albins, M.A., Almany, G.R., 2017. Biodiversity effects of the predation gauntlet. Coral Reefs, 36 (2) : 601-606. IF 2.906. Teixidó, N., Gambi, M.C., Parravicini, V., Kroeker, K., Micheli, F., Villéger, S., Ballesteros, E., 2018. Functional biodiversity loss along natural CO2 gradients. Nature Communications, 9-5149, doi : 120.1038/s41467-018-07592-1. IF 12.353. Thiault, L., Marshall, P., Gelcich, S., Collin, A., Chlous, F., Claudet, J., 2018a. Space and time in social-ecological vulnerability assessments. Marine Policy, 88 : 213-221. IF 2.235. Thiault, L., Marshall, P., Gelcich, S., Collin, A., Chlous, F., Claudet, J., 2018b. Mapping social-ecological vulnerability to inform local decision making. Conservation Biology. 32 : 447-456. IF 4.842. Torrente, F., Bambridge, T., Planes, S., Guiart, J., Clua, E.G., 2018. Sea swallowers and land devourers : can shark lore facilitate conservation ? Human Ecology, https://doi.org/10.1007/s10745-018-0018-78. IF 1.642. Vázquez, A .A., Alda, P., Lounnas, M., Sabourin, E., Alba, A., Pointier, J.P., Hurtrez-Boussès, S., 2018. Lymnaeid snails hosts of Fasciola hepatica and Fasciola gigantica (Trematoda : Digenea) : a worldwide review. CAB Reviews, 13 (62) doi : 10.1079/PAVSNNR201813062. Wecker, P., Lecellier, G., Guibert, I., Zhou, Y., Bonnard, I., Berteaux-Lecellier, V., 2018. Exposure to the environmentally-persistent insecticide chlordecone induces detoxification genes and causes polyp bail-out in the coral P. damicornis. Chemosphere, 195 : 190-200. IF 4.208. Ziegler, M., Quéré, G., Ghiglione, J.F., Iwankow, G., Barbe, V., Boissin, E., Winckler, P., Planes, S., Voolstra, C.R., 2018. 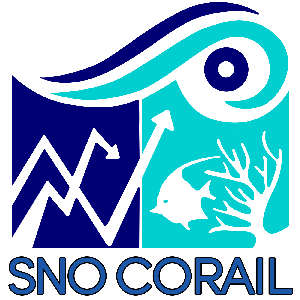 Status of coral reefs of Upolu (Independent State of Samoa) in the South West Pacific and recommendations to promote resilience and recovery of coastal ecosystems. Marine Pollution Bulletin, 129 : 392-398. IF 3.146. Zupan, M., Bulleri, F., Evans, J., Fraschetti, S., Guidetti, P., Garcia-Rubies, A., Sostres, M., Asnaghi, V., Caro, A., Deudero, S., Goñi, R., Guarnieri, G., Guilhaumon, F., Kersting, S., Kokkali, A., Kruschel, C., Macici, V., Mangialajo, L., Mallol, S., Macpherson, E., Panucci, A., Radolovic, M., Ramdani, M., Schembri, P.J., Terlizzi, A., Villa, E., Claudet, J., 2018. How good is your marine protected area at curbing threats ? Biological Conservation, 221 : 237-245. IF 4.022. Zupan, M., Fragkopoulos, E., Claudet, J., Erzini, K., Horta e Costa, B., Gonçalves, E.J., 2018. Marine partially protected areas : drivers of ecological effectiveness. Frontiers in Ecology and the Environment. 16(7): 381-387. IF 8.039.